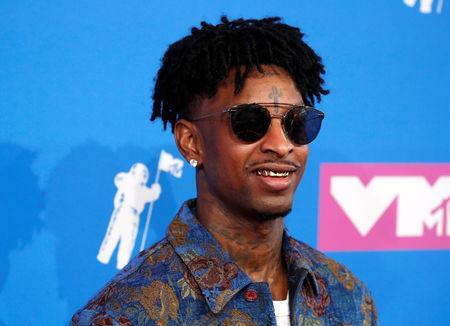 21 Savage was arrested by U.S. Immigration and Customs Enforcement (ICE) agents a week ago in Atlanta, where he grew up, and remains in detention. He was nominated for two Grammy Awards for his work as a featured artist on Post Malone's song "Rockstar." Swedish composer Ludwig Goransson included the rapper among those he acknowledged. He said in an acceptance speech for his contribution to Childish Gambino's Grammy-winning record "This Is America" that 21 Savage "should be here tonight."